What Happens When You're Sick or Injured at OCS? What Happens When You’re Sick or Injured at OCS? Everyone will be hurting. Many will get hurt, or injured. The first line of defense is prevention. Do everything you can ahead of time to injury-proof your body. Improve flexibility with yoga and stretching. Improve your muscular and skeletal systems with PT and lifting (and drinking your milk?) and address any imbalances or weaknesses as early as possible. There are two full clinics at OCS. First is a regular hospital-like Medical clinic with a Navy doctor on staff who can address more serious injuries or illnesses and prescribe medicine, aka BAS (Battalion Aid Station). Second is Sports Med, where no expense is spared to address athletic injuries by a team of professionals with a host of specialized medical equipment. You can miss a small amount of training at Medical or Sports Med without consequence. The staff will monitor you but you will not be penalized unless you are seen to be shirking duty, or “malingering.” If you have a more serious injury, you are often given an option to try to gut it out and push through on pain killers. Prohibitively serious injuries or illnesses usually result in getting sent home with an invitation to reapply. Official candidate regulations explain limited duty options as follows: Candidates may be placed in a limited duty or no duty training status, after a sick call examination by a medical officer or independent duty corpsmen. 1. Training Status. Candidates in a “no duty status” are excused from all training for the period specified. Candidates in a “limited duty status” will participate in all classroom instruction and examinations, in addition to participating in “limited” drill, physical training, and field exercises as directed by competent medical authority. In those cases where the candidate cannot participate he/she will observe the restricted event. Realistically, most candidates are hurting and sustain blisters, sprains and aches at OCS. If the staff believes in you, they will keep you at OCS as long as possible to recover from or push through your illnesses and injuries. Many candidates have even missed “mandatory events” or graduated on crutches because the OCS leadership saw their officer potential and willingness to push through pain. Don’t be afraid to seek medical attention at OCS. Quickly reacting to illness or injury allows the medical staff to do their job. Can you push through the pain without significantly or permanently injuring yourself? Then it will be worth it. It does not matter what it says on this website. It matters what the Marines do. My son was in the 9th week of OCS and got rhabdomyolysis from all the strenuous training. He was unable to finish the last task so they dropped him. 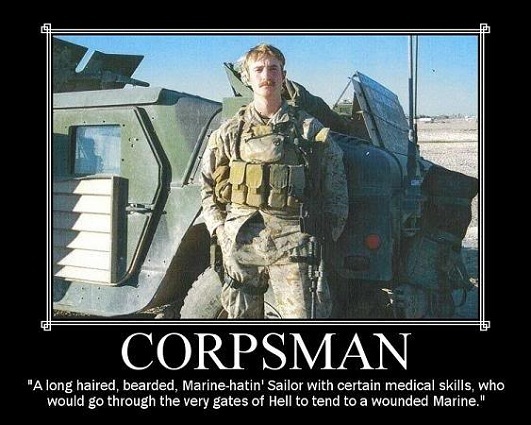 Think about this – the Marines can put you in a dangerous physical condition then cut you because of it. A ninth week drop is fairly rare. Honestly OCS is moreso screening than training, and most who can’t make it through the physical rigors of OCS will get cut by the end. Frankly, the severe training at OCS is essential, because combat is even worse. Previous Previous post: Gluten-Intolerance at OCS? Next Next post: Can I Drop an Air Contract for a Guaranteed MOS?